Managing assets in excess 39bn, ILIM manages money on behalf of multinational corporations, charities and domestics. Additional Voluntary Contributions (AVCs) are a simple and tax-efficient way for pension scheme members to save for their retirement. AVCs are extra contributions made by members of group pension schemes in order to increase their benefits when they retire. These pension contributions that are made while working may be eligible for full tax relief (within Revenue limits). Why should I make AVCs? Additional Voluntary Contributions or AVCs are extra savings which you can make towards your pension. Making AVCs can be a great option for you if you wish to increase the level of your retirement benefits. Depending on your length of service at retirement you may not have the maximum benefits permitted by the Revenue Commissioners available to you or perhaps the necessary income in retirement to maintain your current lifestyle. AVCs can be used to minimize any shortfalls in your benefits at retirement. In other words, AVCs allow you to take control of your financial future and help you to build up an adequate fund for retirement. What are the benefits of making AVCs? Additional Voluntary Contributions are a very tax efficient way of saving for your future. AVC pensions contributions are treated the same as normal pension contributions for tax purposes, so you qualify for tax relief at your highest rate of tax. Based on the example above, if you decided to make an AVC of €100 and you are on the 40% rate of tax, you would receive tax relief at 40%. That means a €40 saving for you! Any growth on your AVC pension fund investment funds is also tax free. The Revenue Commissioners have established limits which apply to the contributions for which you can claim tax relief. A maximum earnings limit* also applies. The table below displays the percentage of your income that you can receive tax relief on when contributing to a retirement fund. There are also limits on the benefits that may be provided at retirement. *Note: In any tax year employee contributions are limited according to age and are subject to Revenue approval. This is shown in the table above. This includes any contributions to your main scheme. The maximum earnings limit for tax relief on pension contributions from 2017 is €115,000. If you decide to make a once-off lump sum payment into your pension before the 31October you can still qualify for a tax relief in respect of the previous year. You should note that you will need to have lodged your claim for tax relief with your local Inspector of Taxes by 31October in any year in order for your application for tax relief to be considered by the Inspector of Taxes. Tax relief is not guaranteed and is at the discretion of your local Inspector of Taxes. For more information on how this once-off AVC contribution process works download our information leaflet. How do I make AVCs? Any member of a pension scheme can make AVCs. The process is simple. When you decide to make AVCs and the amount you would like to contribute, complete an application form and give it to your payroll department. Your AVCs will then be deducted directly from your salary, so you get full tax relief at source. You can also make once-off payments by cheque and then apply to your local Inspector of Taxes for a tax refund (see the above bullet point). Tax relief is granted at the discretion of your Inspector of Taxes and is not guaranteed. You can decide to increase, decrease or cease your regular contributions at any time. You can also make one-off lump sum contributions to your AVC fund if you choose, subject to Revenue limits. Your AVC pension benefit must be administered in the same way and at the same time as your retirement benefits under your main pension scheme. If you leave your company, you can leave your AVC pension fund invested until retirement or transfer to your new employer’s pension fund, or a Personal Retirement Bond (PRB) which is a personal policy purchased by the trustees in your name (subject to scheme rules). You can choose to retain control of your fund post retirement in an Approved Retirement Fund (ARF), which is a tax-free investment fund held in your own name and managed by a Qualifying Fund Manager (subject to certain conditions). This means your AVC pension remains invested on a tax-free basis until you need to access it. You will need to pay tax on the withdrawals as if it was income. Increase the tax-free lump sum on retirement, or put the AVC pension fund towards their tax-free lump sum and avoid reducing other annual pension benefits. Provide or increase dependant's pension. Which option or combination of options is best for you will depend on your circumstances when you retire. What scope do I have for making AVCs? Normally the retirement benefits which are payable under the rules of your main company pension plan are lower than the maximum benefits which are permitted by the Revenue Commissioners. Therefore, most people have scope to pay AVCs to increase their retirement benefits without the risk of breaching Revenue maximum benefit rules or reaching the standard fund threshold as described below. For example, some of your earnings may not be included in the calculation of the pension amount payable from your main plan - e.g. overtime, bonuses, commissions or car allowance. Or you may have entered your pension plan at an age when you are not expected to receive full pension benefits from your company’s main pension plan when you retire. You should note however that there is a standard fund threshold in place. This is the maximum fund a person is permitted to have for providing retirement benefits. If your fund is greater than this threshold, then the amount in excess of the threshold will be subject to income tax at your marginal rate when you retire. Please refer to your member booklet for further details on the standard fund threshold. If I decide to make AVCs what information will I get? An annual pension benefit statement that gives the current value of your account and shows the transactions over the previous year. Pension Planet Interactive (PPI): This online service also allows you to access AVC pension fund values, check your contribution online and complete projections using different retirement saving scenarios. Pension Prophet: This is a pension projection tool that will help you predict what level of retirement benefits your AVCs could provide you with. Irish Life EMPOWER: This is an app designed to help you plan for your retirement. It’s your individual pension calculator on the go and lets you take control of your pension. This app will also help you to stay up to date with the progress of your pension and offers lots of useful information about your plan and investment details. If you are interested in making AVCs, please contact your payroll department, broker or financial adviser. WARNING: If you invest in this product you may lose some or all of the money you invest. Not in a pension plan yet? Defined Contribution Plans: How much should I save for my retirement? 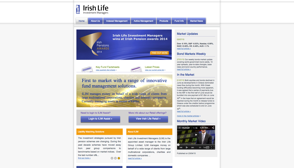 Irish Life is Ireland's leading life investment and pension company. Irish Life is now a part of the Great-West Lifeco group of companies, one of the world's leading life assurance organisations. In the interest of customer service we may record and monitor calls. 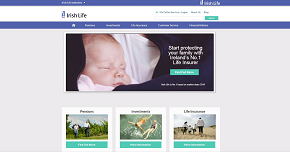 Irish Life Assurance plc. Registered in Ireland number 152576, Vat number 9F55923G. Registered office is situated at Irish Life Centre, Lower Abbey Street, Dublin 1. 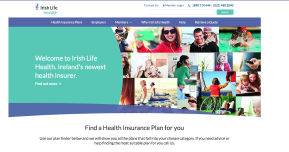 The pages of this site are issued in the Republic of Ireland and are for the information of Republic of Ireland residents in relation to Republic of Ireland products only. Access to this website and use of the information on it is subject to the Terms and Conditions of Site Use. By proceeding further you will be deemed to have understood and agreed to be bound by these terms and conditions. If this is not acceptable to you, you should exit this site now.